I am on a mission to learn how to properly install a zipper and attach tote handles. The zippers are giving me fits. Sometimes they come out great, and most of the time, not so good. I need to figure out why its so inconsistent. I think my pinning/clipping is not so great and things get wonky. Look at those cats! I’m making myself a bag with them! We are watching tutorials on YouTube today… Good thing I have already watched it 20 times. I still like to let it play while I attempt to make this tote. I get nervous trying to do things from memory, or from my notes. I need visuals. 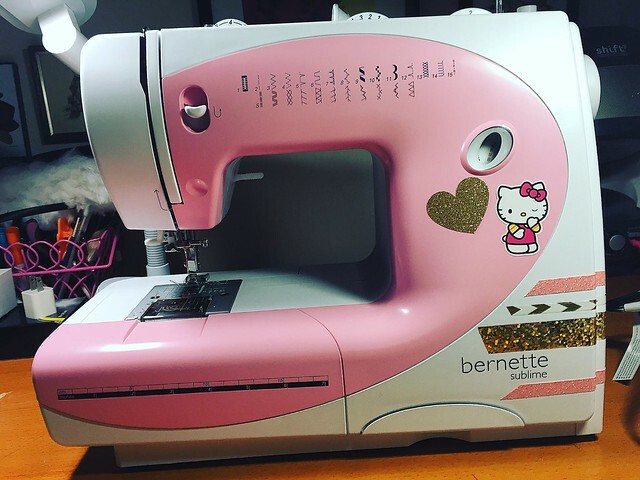 Setting up for my first night of sewing… Happy New Year!